The Akai Pro Force is a new standalone music production, DJing and performance powerhouse, built around an intuitive clip launching system. 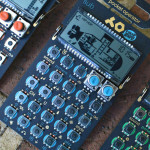 We recently covered a leaked story of an upcoming Akai product, we all thought it was a new addition to the APC series. We were wrong about a few things, and right about some others. 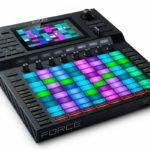 Enter the Akai Pro Force, a new standalone music production and performance system designed around an 8 x 8 clip launching system, similar to Ableton Live except entirely standalone. At the core of the new Akai Pro Force is a 7” full-colour capacitive multitouch display, providing hands-on control over the internal OS and DAW. There’s also a handful of quick controls for track transport, navigation and undo/redo. Below the multitouch display is a bank of eight encoders, each with their own dedicated displays for parameter names and values. 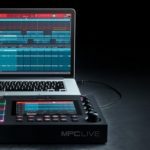 The 8 x 8 clip launching section emulates the Ableton Push both in aesthetics and workflow, and some don’t know this, Akai actually helped Ableton develop the original Push controller. 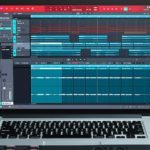 Akai obviously saw the potential in creating a system that is untethered to a computer and particular software package. 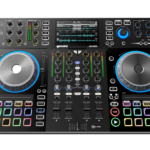 The onboard DAW is designed for music production, remixing, mash-ups and even DJing. There are six different track types, from Audio to MIDI to CV. The system features four powerful, fully-editable synthesizer engines, alongside the legendary MPC style internal sampling capabilities. The Akai Pro Force’s performance mode turns the 8 x 8 pad layout into a combination of 16 drum pads, chromatic note triggers, chord/progression triggers and smart scale settings. Perfect for inputting a variety of different instrumentations. The Akai Pro Force features a dual input, one of which has a 48v or regular mic as well as line mode, the other input has line/instrument selection. 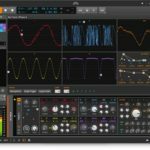 So, you can sample stereo line levels, microphone or instruments directly into the embedded DAW. The system has CV/Gate output, MIDI In, out and thru, four outputs, and a headphone output for cueing a signal. 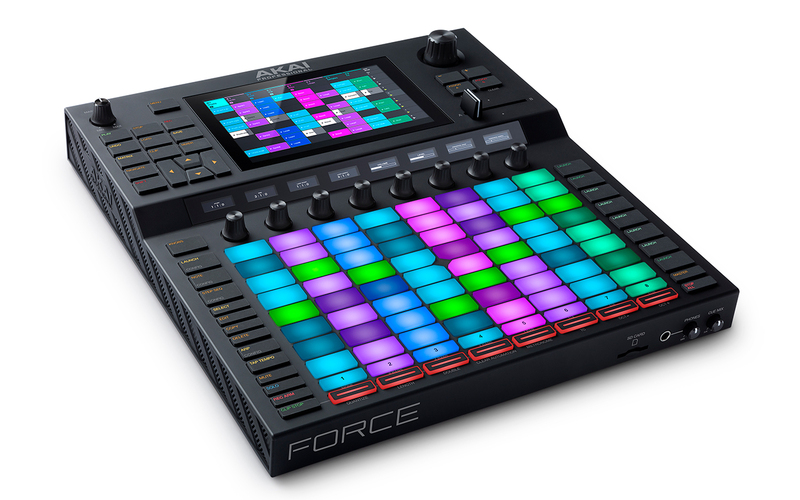 The Akai Pro Force is designed to be standalone, however there are plenty of USB and MIDI I/O for connecting to a computer-based DAW. It’s set to retail at EUR €1499,99 (Around R24k excl. duties), keep in mind it’s a fully-fledged standalone system, if you’re getting into production – there may not be a need to get a laptop or computer as well. For more information, check out the Akai website.